This is one of the best analyzing tools until date and if you want to make your website rank in the search engine, then drop in to see your competitors. Simply compare the keywords between your site and competitor’s site, we know that is tough but with our free Meta tags analyzer online tool you get 100% true result of any website. The result generated is accurate, safe and reliable. Meta Tags Analyzer is the best analyzing tool for checking the meta tags of your website. Anyone can simply see the meta tags of any website. If you are want to get your website on top in search engine results then you must have to check your competitors. You must have to compare the keywords between your site and competitors site. It's really too much hard to see what keywords descriptions and tags you are using or your competitors is using. But if you use our tools then it will easily track the meta tags from any website. Our free meta tags analyzer online tool show 100% accurate result for any website. So you can feel 100% safe about the quality. The most amazing thing is it's a free seo tool like others we are providing in our website. There is no limitation for using this tool. You can use as much as you want. Once you are done you can edit or update your meta tags,keywords,description of your website. 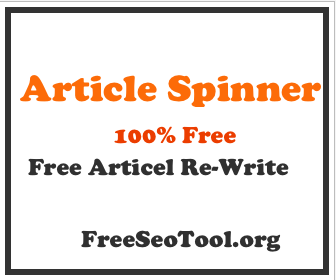 We are providing free Meta Tags Generator seo tool for you.